Made from premium single bend cowhide leather. Each piece is laser engraved, hand dyed, distressed, oiled, and stitched. Fitted with double, gun metal colored snaps. 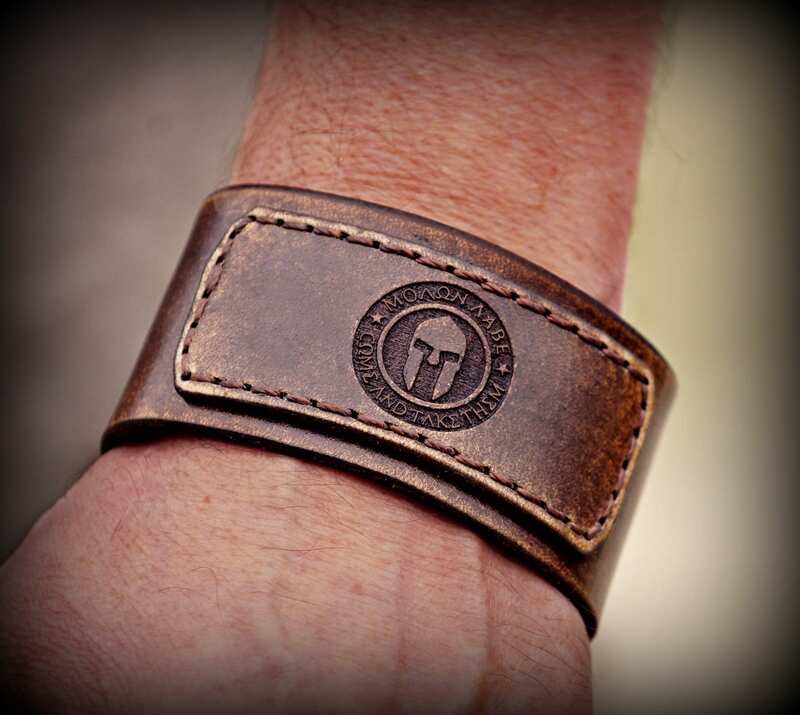 This cuff comes with the MOLON LABE, Spartan helmet already engraved, but can be custom engraved at no additional charge. 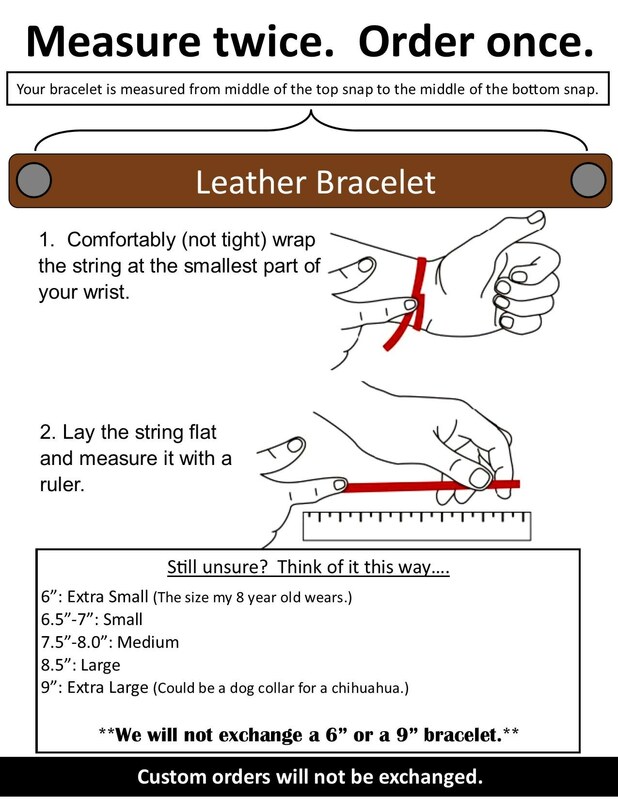 When placing custom orders please include a phone number in case we have any questions. Custom requests can be put in the note section at checkout.